The leader of a right-wing group canceled a planned controversial “Freedom Rally” in San Francisco a day before it was to be held. Patriot Prayer leader Joey Gibson made the announcement in a Facebook video Friday afternoon. Some have criticized the event as promoting bigotry and hate speech, which the group has denied. 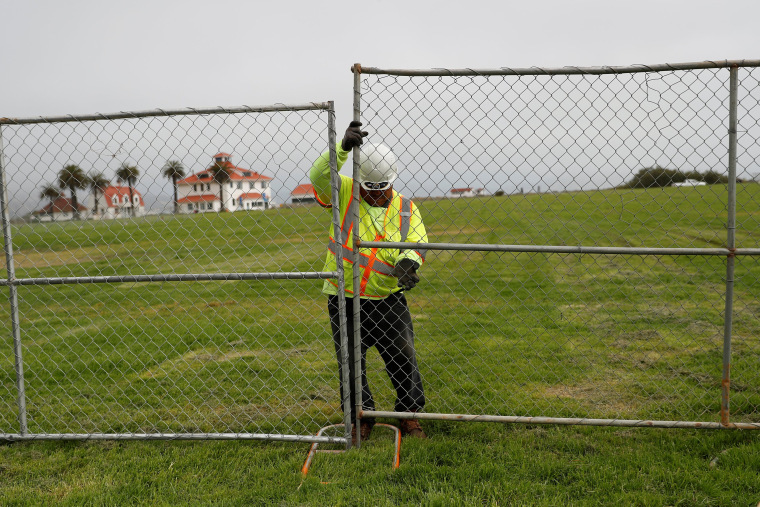 The National Park Service approved a permit for the event on Wednesday on free speech grounds, and San Francisco’s police chief said the protest site would be secured and there would be a large police presence at the event. Nearly two weeks ago, a planned white nationalist rally in Charlottesville erupted in clashes between demonstrators and counter-protesters. During the day of chaos, an Ohio man allegedly plowed a car into a group of counter-protesters, killing one person and wounding 19 others. California state Sen. Scott Wiener and Assemblymembers David Chiu and Phil Ting in a statement opposing the issuance of a permit referenced the violence in Charlottesville and called the planned San Francisco event "a likely violent rally of White Supremacists." Gibson said the group would hold a press conference in San Francisco instead. Organizers for the now-canceled rally had said that "No extremists will be allowed in. No Nazis, Communist, KKK, Antifa, white supremacist, I.E., or white nationalists." San Francisco Mayor Ed Lee had urged San Francisco residents "to not dignify people who are coming in here under the guise of patriot and prayer words to really preach violence and hatred." Patriot Prayer had said the event is "an opportunity for moderate Americans to come in with opposing views." But the Southern Poverty Law Center, which tracks hate groups, said white nationalists and skinheads have previously attended Patriot Prayer events in the group's home state of Oregon, generally without "announcing their presence." Gibson in the video Friday said organizers were concerned that white supremacists as well as groups calling themselves "anti-fascists" may have been able to attend, and cited safety concerns. San Francisco Police Chief Bill Scott said this week that "a very, very large presence of officers" would be on hand at Crissy Field.